From the piece “Transitions,” choreographed by Sarah Harkness-Sebastian. 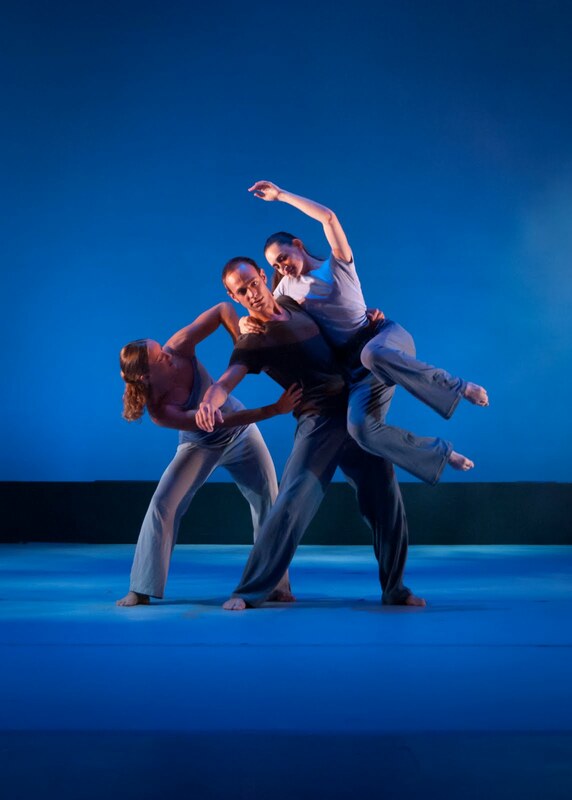 The dancers pictured are (left to right): Kristi Grainger, Justin Nunez and Betsy Park. Photo by - Nicholas Park. ﻿﻿The Valencia Dance Department recently presented its Summer Repertory Concert, a unique event that showcases students majoring in Dance Performance, and high school students that participate in the Valencia Summer Dance Institute, a free four-week summer program designed to inform, instruct, and recruit dancers for future admittance to Valencia's Associate in Arts Dance Performance Degree. The concert featured a large number of dancers performing 12 different pieces highlighted with classical music, special lighting effects and beautifully choreographed movements. This included segments like “Dream Work” a performance piece choreographed by Valencia alumni Ashley Hymson. There were also several additional guest artists and choreographers from across Florida and the nation. Audience members raved about the quality of the concert and talent of the students involved. “The instructors do such a great job with theses student dancers, and create a performance that is entirely enjoyable” said concert attendee Bruce Thoms. “There are so many talented dancers on stage, I love coming out to show support for my fellow dance majors” said Valencia dance student Lauren Scruton. If you missed the Summer Repertory Concert, or enjoyed this performance and want to see more, plan to attend “The Choreographer’s Showcase” in the Fall. This is scheduled at the end of the Fall semester Nov. 18 and 19, and is focused solely on performance pieces choreographed by Valencia students. Tickets for the 2011-2012 season can be purchased online by going to the Valencia Arts and Entertainment wed site at http://valenciacollege.edu/artsandentertainment/.